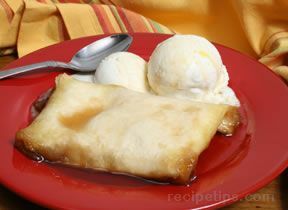 A quick and easy dessert that can be filled with apples or other fruits or nuts. 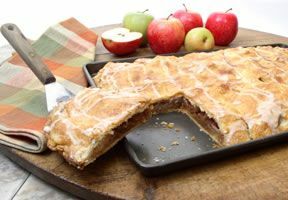 These Mini Apple Pies are a fun recipe to make and eat as an alternative to a large apple pie. 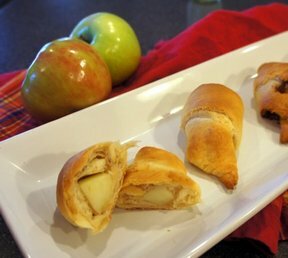 This Mini Apple Pies Recipe is perfect to serve for a brunch or special snack. Using a rolling pin, flatten each biscuit into a 3-4 inch circle. 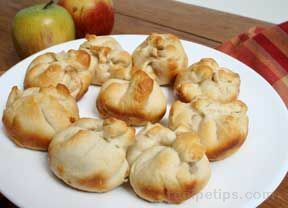 Combine apples with any other fruit; try raisins, craisins, dried cherries or dried figs. Add sugar, cinnamon, and nutmeg. Place 1 tablespoon of mixture onto each biscuit. Dot each with a small pat of butter. Bring up the sides of the biscuit to enclose the filling. Pinch and twist the top to seal - almost like making a little sack. Place in greased muffin cups.